We have been the favorite local independent insurance agency in Charlotte, NC and the surrounding areas for the last decade. We provide car insurance from multiple insurance companies and we offer these great car insurance rates to our customers in Charlotte, NC and all of North Carolina and South Carolina. This is what separates us from the others. When you get a quote from us, we are able to shop multiple companies that we represent so we can provide you with several car insurance quotes. We realize that every individual is different so we fine-tune your insurance requirements based on the coverages that you want and then shop our A-Rated carriers to find your lowest auto insurance rate. Within 10 minutes we can provide you with this service and at no cost to you. We will provide you with instant DL 123, SR 22, FS 1, and FR 2 forms that are required by NC and SC once we issue your policy. We offer the best rates for drivers with no points with our incident-free discounts. We also offer the best Charlotte auto insurance and NC and SC auto insurance rates for those with not so clean records as well. This can include drivers with a DUI DWI, tickets, or accidents. We also offer non-owners insurance or named-operator insurance policies for drivers just getting their license that don’t have a car. Whether you have no experience or several years experience, we have a policy for you. You can be certain that when you call us you will not be entered into a call center where you wait for the next available representative. You will reach the same friendly local agents each time you call us. The services we provide won’t stop once you call us for a quote. We continually strive to provide you with excellent service as long as you are our customer. 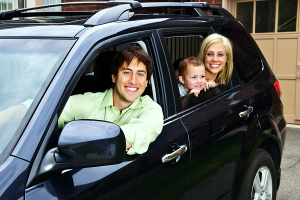 We shop your renewals with our carriers as well to make sure that you continue to be offered the best auto insurance rates available. So if you are in the market for Charlotte auto insurance or NC and SC auto insurance please call us at (704) 494-9495 and start saving today.